With the markets going gangbusters and tax day just around the corner, local networks are reaching out to help their viewers make sense of it all. Annuity Watch USA’s own Cathy DeWitt Dunn has become quite a regular on TV screens across the Metroplex. 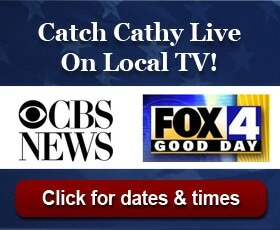 If you were not able to catch Cathy last week on NBC, she’ll be appearing on KDFW Fox 4 Good Day Dallas this Monday, March 18th at 7:30am. She’ll be providing important information on how you can be better prepared at tax time. Schedule a one-on-one with us today! We’d love to meet with you!